The Elburn & Countryside Fire Protection District (ECFPD) is asking the community for a partnership in our Adopt-A-Hydrant program by adopting a fire hydrant close to your home or business and keeping it free of snow during the winter and free of weeds and shrubbery in the summer. In the event of a fire, it is imperative that Fire Department gain access to a water supply via a fire hydrant as quickly as possible so that fire can be extinguished and prevent loss of property and/or life. You can help ECFPD in this quest by adopting a hydrant and making sure that it is easily accessible throughout the year. 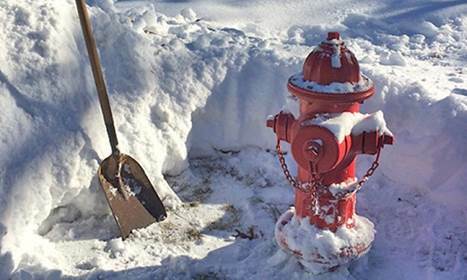 We ask that you shovel the area around your adopted fire hydrant after each snowfall. 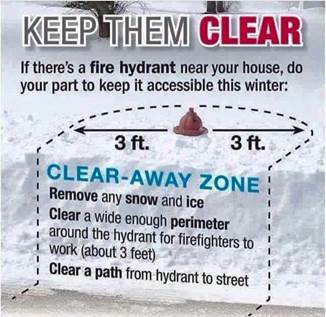 Clear a path approximately three feet around the hydrant as well a clear path from the street or roadway up to the fire hydrant so that the hydrant is visible and accessible. During the summer months it is also important to make sure that the same three foot path around your adopted hydrant is free of weeds, shrubbery, flowerbeds, etc. If you notice that a fire hydrant has been damaged, missing caps, leaking water, or if it is blocked, please notify us at 630-365-6855. All of this will assist fire crews in the unfortunate event of a fire.